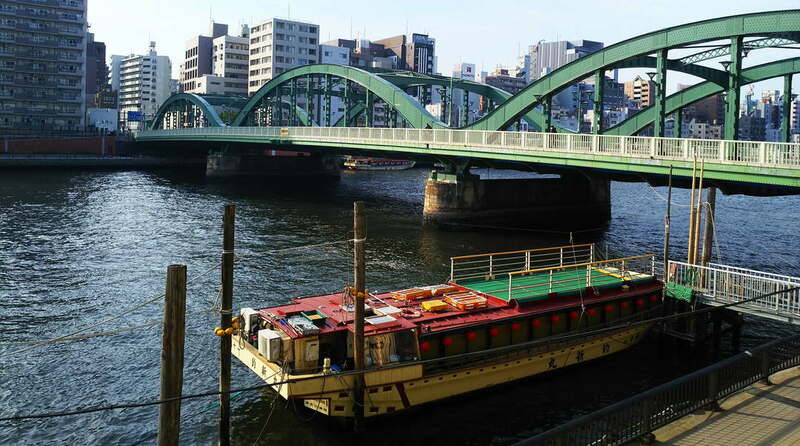 Sumidagawa River 'Exhibition of Bridges' Part 1: Sakura-bashi, Azuma-bashi, Komagata-bashi, and Umaya-bashi. The Sumidagawa River has such a wide range of bridges in such different styles that it has gained the nickname of 'Exhibition of Bridges'. In total, there are thirty-five bridges (twenty-eight bridges for pedestrians and traffic, and seven just for trains) spanning the river. 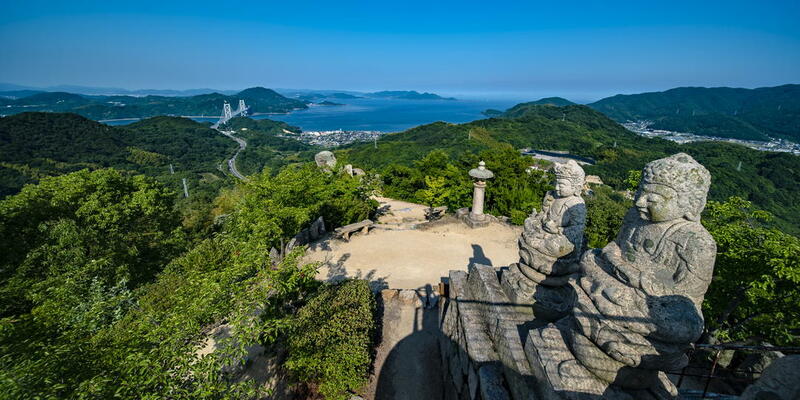 Where the Sumidagawa River runs was originally the route of the Ara-kawa River, which begins on Mount Kobushi in Saitama Prefecture and ends in Tokyo Bay. 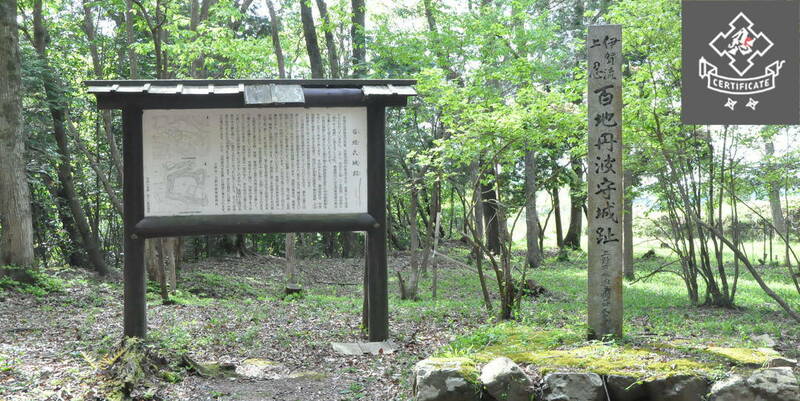 However, in the Meiji period the Ara-kawa River was diverted to prevent flooding of the Tokyo region, and the current river route renamed the Sumidagawa River. Despite being most-famous nowadays as the location of the Sumidagawa Fireworks Festival, one of the oldest fireworks festivals in Japan, for those who are into architecture – or even just want to look a little more deeply at the history of the region – the bridges over the Sumidagawa River give an often-overlooked glimpse into Tokyo's history. Language tip: 'hashi' or '-bashi' means bridge, so if you're asking directions then just 'Sakura-bashi' will do. Alternatively, in English, feel free to drop the '-bashi'. It's the same with '-gawa', meaning 'river' in English. The Sakuragawa Bridge was completed in 1985, as part of a joint project between Sumida Ward and Taito Ward. It connects the Sumida Park on either side of the river. It has two unique points - it is the only pedestrian bridge of all the bridges crossing the Sumidagawa River, and is also the only X-shaped bridge – the river is visible in between the split at each end. 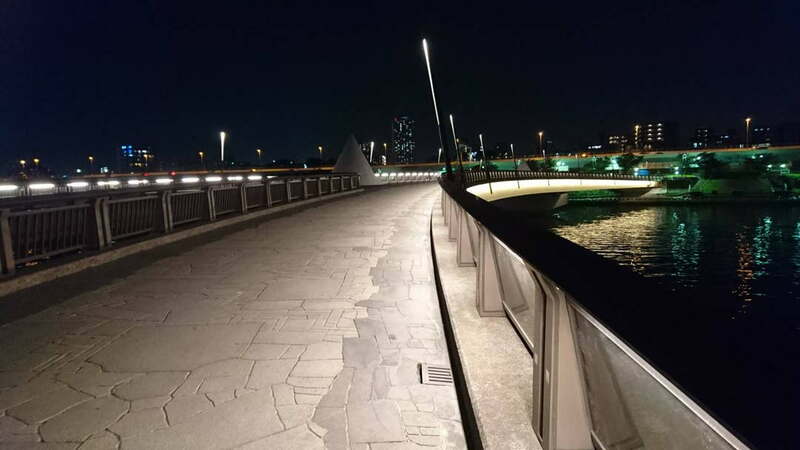 Designed for pedestrians, LED lighting was installed under the handrails, making it safe for those walking over it while also creating a lovely evening scene. The last of the five bridges built during the Edo Period, it was first built in 1774 as an alternative to the Takecho Ferry Crossing (in the Edo period, crossing rivers by boat was more common than bridges). It was originally a toll bridge called Okawa-bashi, or 'Large River Bridge' in reference to the Sumidagawa River's nickname. In 1876, the bridge was renovated and its name was officially changed to Azumabashi – taking its name from a nearby shrine. In 1887 it was rebuilt as the first modern steel bridge over the Sumidagawa River, yet it didn't take its current form until 1931. It is a bright red solid-ribbed tied-arch bridge with three arches, set underneath the flat top of the bridge decorated with lantern-style lights. The railings separating the pedestrians from the traffic have the mitsudomoe traditional design on them. Azumabashi is a popular photo spot, as you can see yakatabune and other boats passing on the river, and also the headquarters of Asahi Beer (the big gold building designed to look like a mug of beer) and the Tokyo Sky Tree on the Sumida-side bank. Formerly, there was a ferry in the area called the Komagata Ferry Crossing, which ran until the bridge was built in 1869. 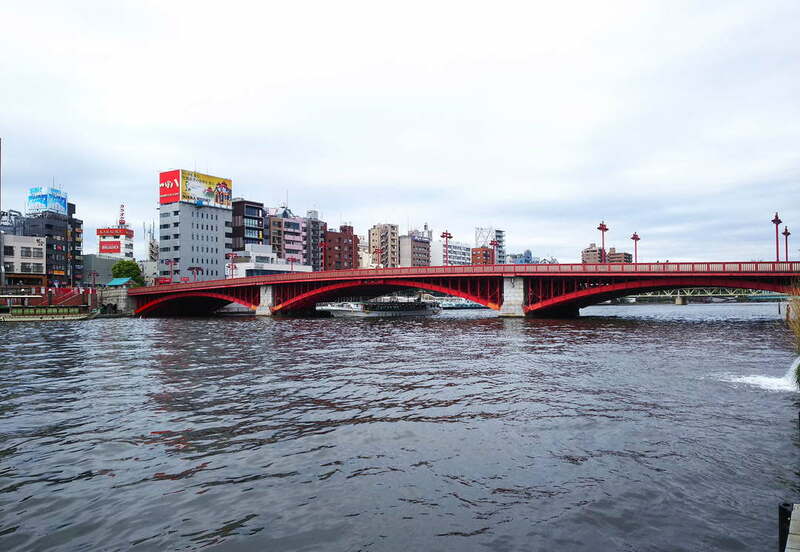 The bridge itself is named after Komagata-do, the red hall located on the Taito-side bank. A long time ago, next to Komagata-bashi, two fishermen caught a statue of Kannon Bodhisattva in their nets. They took it to a wealthy merchant in the town, who realised that it was an important religious find and housed it, allowing people to come and pray. 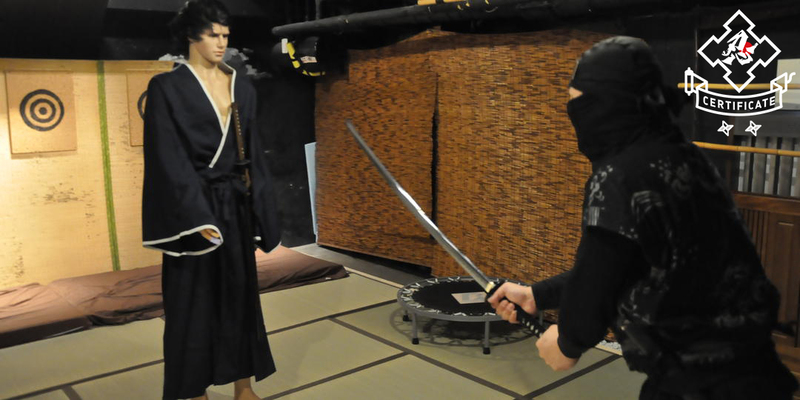 This statue was originally kept at Komagata-do – before being moved to Sensoji Temple! 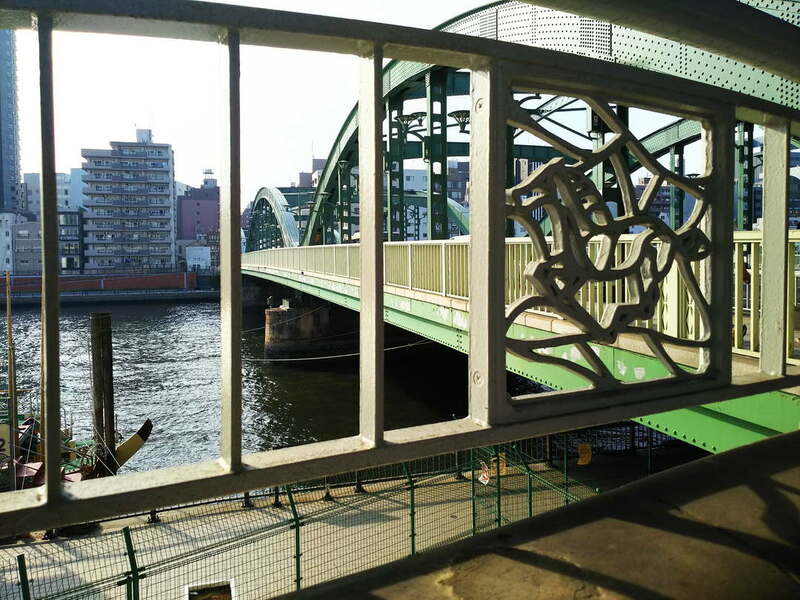 This is why the area around this bridge is very important to the history and development of Asakusa. 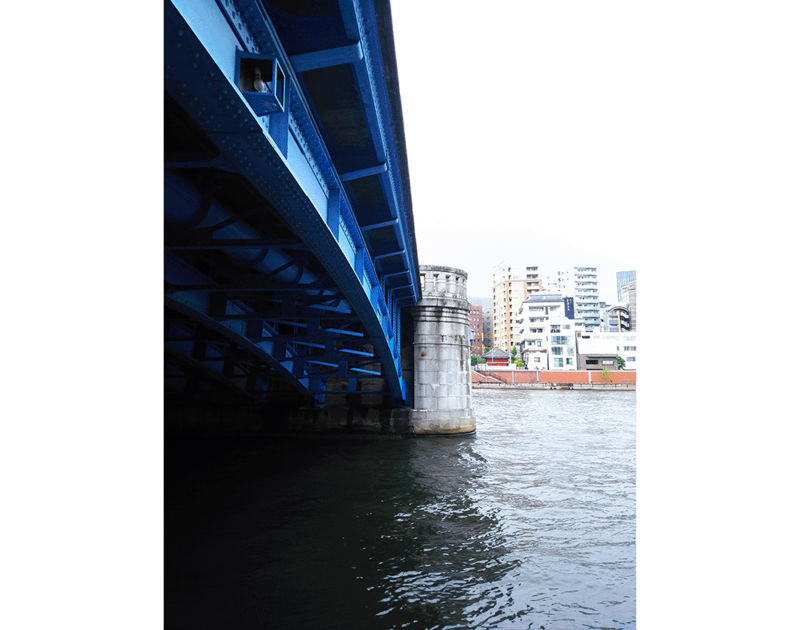 Despite Komagata-bashi being named after a red hall, the bridge itself is a bright blue! It is a three-arch bridge like Azumabashi – however, the only the centre span is a solid-ribbed tied arch, the outer arches are solid-ribbed arches. It has small, balcony-like sections, as well as a nice view of passing boats and the headquarters of Asahi Beer, which make it a popular place to take photographs. The balconies especially are popular for wedding photographs, so you may see couples in gorgeous kimono. 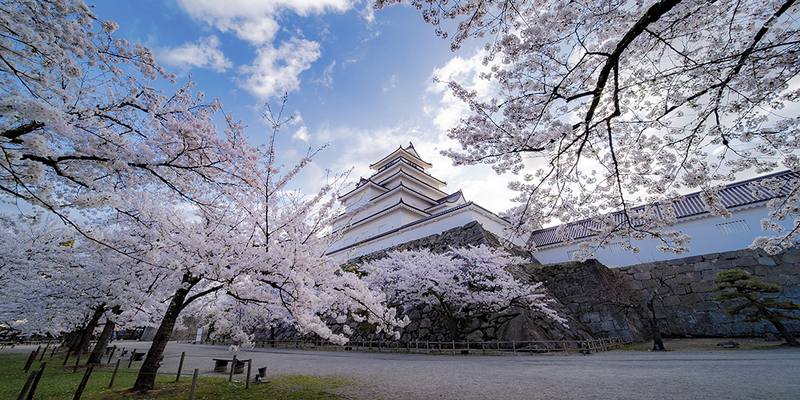 First built in 1874, the money to build it was donated by private citizens to prevent future accidents after a ferry carrying people to see the cherry blossoms capsized (and not for the first time). Damaged in the Great Kanto Earthquake of 1923, the current bridge was completed in 1929 as part of the reconstruction work. It is a green, tied-arch bridge with three arches. 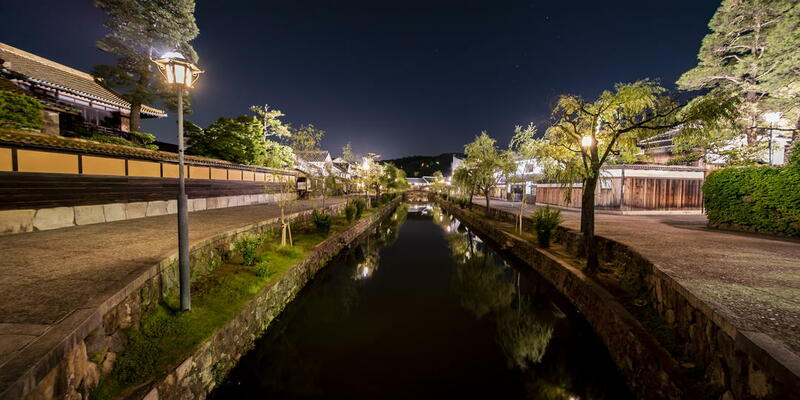 The name of the bridge comes from a stable (umaya) for packhorses which used to be in the area and was owned by the Tokugawa shogunate, and used to transport rice from the storehouses in Kuramae. This is why you will find horses decorating the bridge if you take a walk across it.